London Irish have re-signed centre Guy Armitage on loan from Toulon for the remainder of the season. Armitage left the Exiles at the end of last season to join his brothers Delon and Steffon at the Top 14 side. But following serious injury to Joe Ansbro and a delay in the arrival of Setaimata Sa Irish need reinforcements. 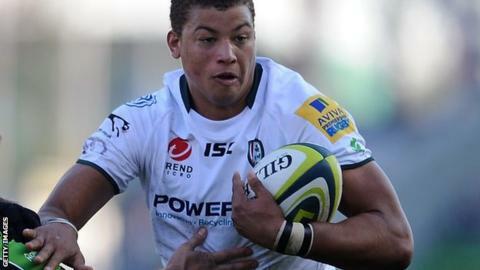 "I was keen for Guy to stay on when I arrived back at London Irish so I am delighted he has re-joined us," director of rugby Brian Smith said. "Guy's development at Toulon was always going to be in stages and it makes sense in season one to come back for first team game time and continue his development." Armitage, who played nine times for London Irish - including four Premiership games, made his debut, alongside Steffon, in the 39-14 loss to Sale Sharks in the LV= Cup in 2010. He added: "It is great to be back at London Irish and I am looking forward to playing some competitive rugby. I cannot wait to get started."